Please select an option 6 months 24 months 18 months 12 months Please select a size. If youre the aunt of an adorable niece or nephew, youll just love this unique unisex design for babies! 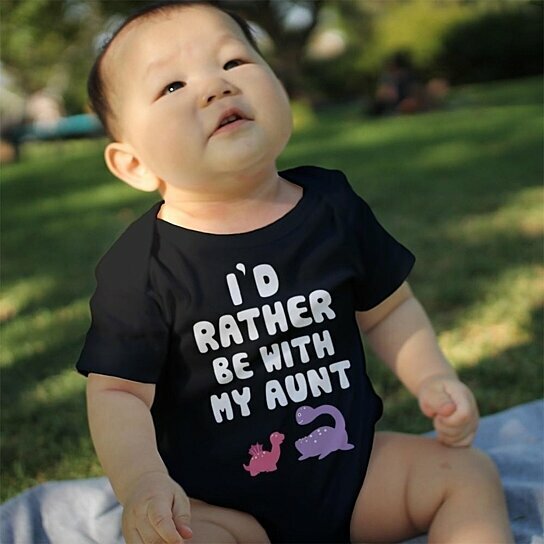 The graphic featured on the front of these baby pieces is comprised of a quote in bold letters which reads Id Rather Be with My Aunt along with a cute image of two dinosaurs. Choose from either a baby onesie or an infant tee.